My easter present from my partner this year was this lovely Jazzie Egg from Marks & Spencer. As you can see - it's not in the box anymore!! It's here - open and confused - because I'm not sure how to get in without causing a lot of cleaning up. It looks fantastic though! The box has holes on both sides to show it off and so no-one is confused about the lack of Jazzies on the back. The plastic case keeps it solid and and means that the shop is not full of Jazzies and that the whole think is easily recyclable. 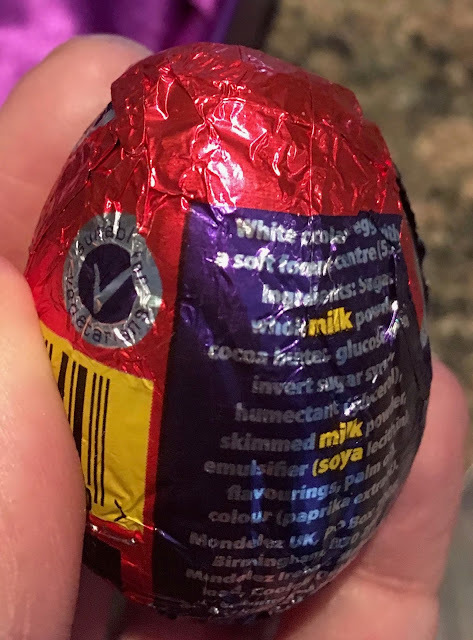 It just means its the first Easter egg I remember where I've had to sit there with a plate to eat any! 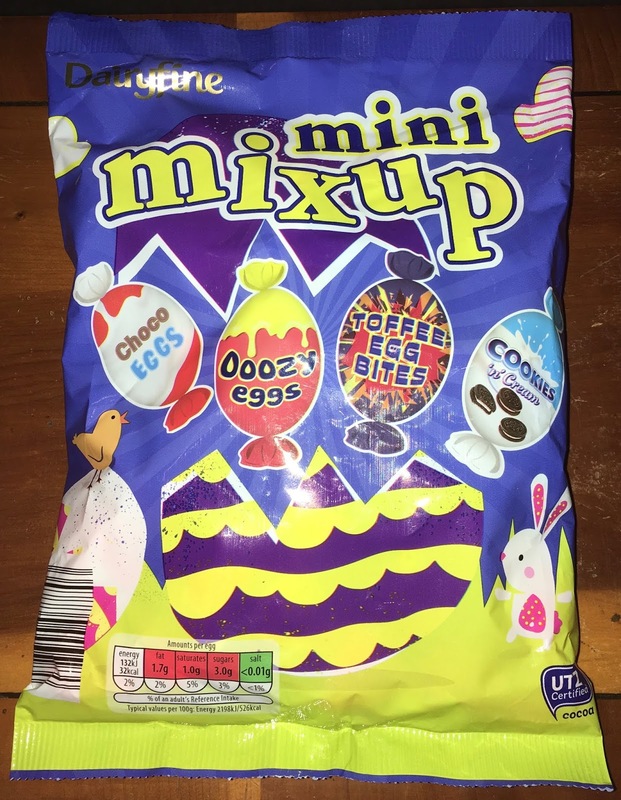 In the end I put it Jazzies side down, and then pushed the sides in so I can eat the normal M&S (decent) chocolate and then leave the Jazzies safely in the plastic and not too many escaped. Over the next week I'll slowly rotate and snap off the coated sections and eat the sweeter sections and hopefully not get them everywhere. I dread to think what the factory looks like! Lovely though, both to look at and to eat, and a nice reminder that these things don't have to be branded or complicated to be special or memorable. This is my Easter themed beer for this year! What do you think? Okay, okay… so, I couldn't find a real Easter themed beer, but bunnies are synonymous with Easter and bunnies hop, so this is the best I could do at short notice… Okay, okay… so Easter comes around once a year every year, but I forgot about this one, it just crept up and surprised me… or something! So Hophead is produced by the Dark Star Brewing Company, in West Sussex. Dark Star is named after a song(ish) by the Grateful Dead. I'd never heard their music before, but YouTube can be very (un)helpful at times and now I wish I hadn't listened to the 2015 remastered version. To try to be kind; I'd have to say that it's not my sort of thing, even though I like most music types, asides some rap music, and definitely not the Teletubbies and Mister Blobby! It seems that at 3.8% volume I'd have to drink a heck of a lot of this Hophead to actually enjoy the Grateful Dead's music, but that's besides the point! Brewed with Malted Barley and Cascade Hops, there is fruitiness in this beer promised on the label. I imagined when I picked this beer up off the supermarket shelf that "Hophead" would refer to a menagerie of hops rolled into one beer bottle. However, just the Cascade hops in this Hophead possibly won't overcomplicate the flavour. On opening there is a fruitiness in the aroma of this deep golden almost straw coloured ale. As the almost overpowering fruity hops smell collides with the malted barley, there is an almost biscuit aroma to finish. This is a beer I could smell all day. On taste Hophead is actually a complex flavoured ale. There is thick sweet malted barley to start with that's pounced on almost immediately by the fruity bitterness from the hops. The malted barley wrestles with the hops like a stubborn child trying to steal an Easter Egg off a rabbit! This battle of flavours runs straight through into the aftertaste. The sweet almost biscuit flavours from the malted barley and that fruity bitterness from the Cascade hops fight madly away at each other. There is more fruitiness into the aftertaste, so I suspect the bunny wins the Easter Egg and hops off into the Spring evening sunshine! Have a Happy Hoppy Easter, Everyone! 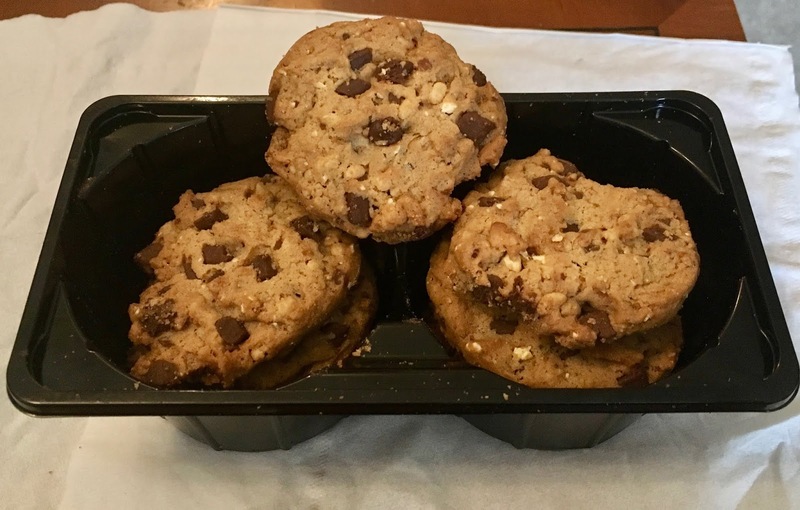 These heavily loaded cookies were found in the wonderful section of Aldi with the Special Buys. This means they don’t normally stock them, they are just there for a short term only, and as you can imagine it is one of my favourite aisles to explore. This weeks find were Maryland Cookies Wonder - Toffee Popcorn Crunch. I couldn’t decide how popcorn would work on a cookie, but I certainly liked the idea. I opened up the biscuits, I had a cup of tea next to me but on this occasion I decided not to dunk. This is pretty dedicated stuff from me, I do dunk biscuits but I wanted to try one out without the tea, to see how the popcorn element worked. So these Toffee Popcorn Crunch Maryland Cookies have lots of sweetness, and the first flavours I picked up on were caramel and chocolate. These flavours pretty much dominated the biscuit taste, with just a slight hit of popcorn afterwards. 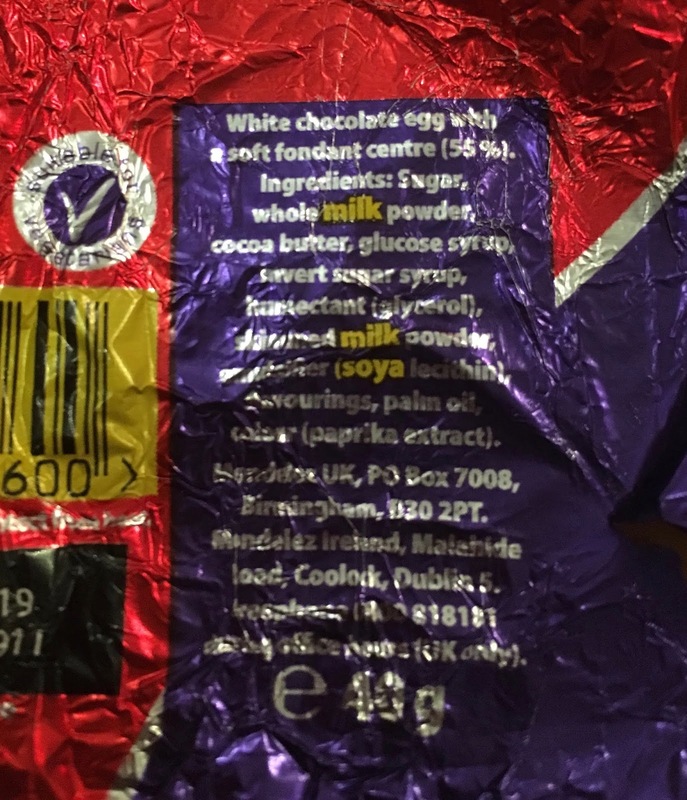 I couldn’t pick up on the texture of the popcorn apart from where I had a little bit of the inner kernel shell in my biscuit. 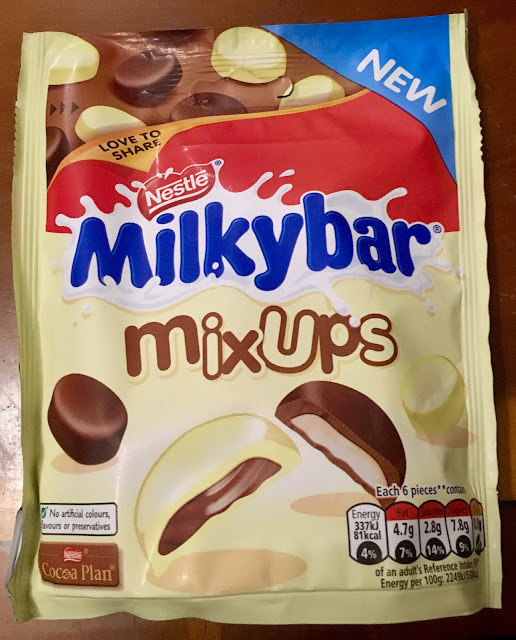 The biscuits were chunky and the chocolate pieces were big and these things hid the texture of the popcorn too. Overall I enjoyed these biscuits, they were sweet, chunky, crunchy and had lots of chocolat on them. As an exciting way to try out popcorn on a biscuit I felt they missed the mark. Happy Chocolate Weekend! 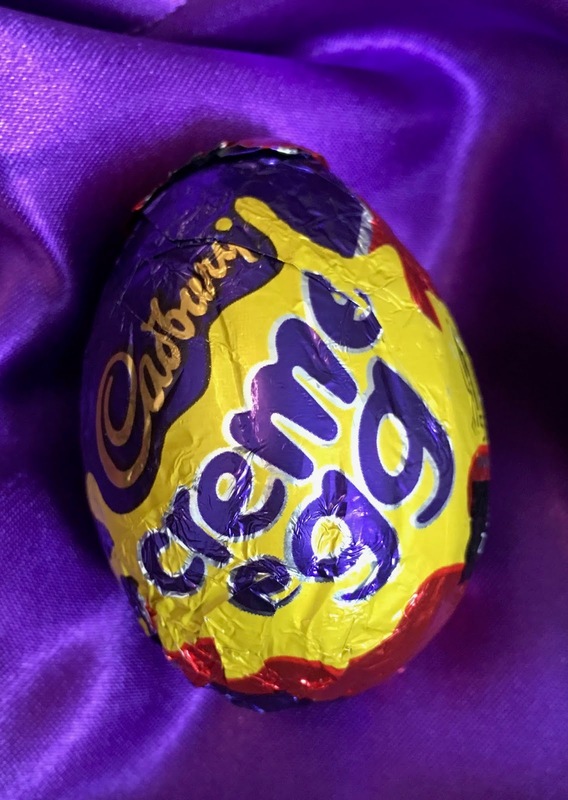 Let us celebrate Ostara by consuming beans and sugar in a variety of flavours and shapes! 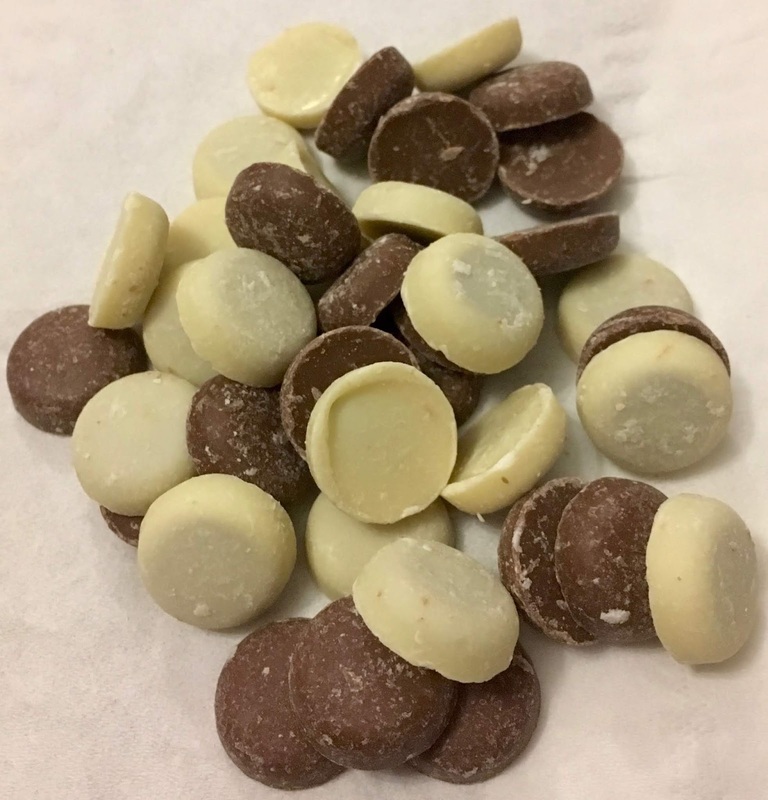 We've bumped into the Choc Affair products a few times over the years *Geraniums* and *Bergamot* and agreed that they are rather fantastic. I remarked that they are very gifty - and I got all these as gifts! Will deal with the top one another day - promise. 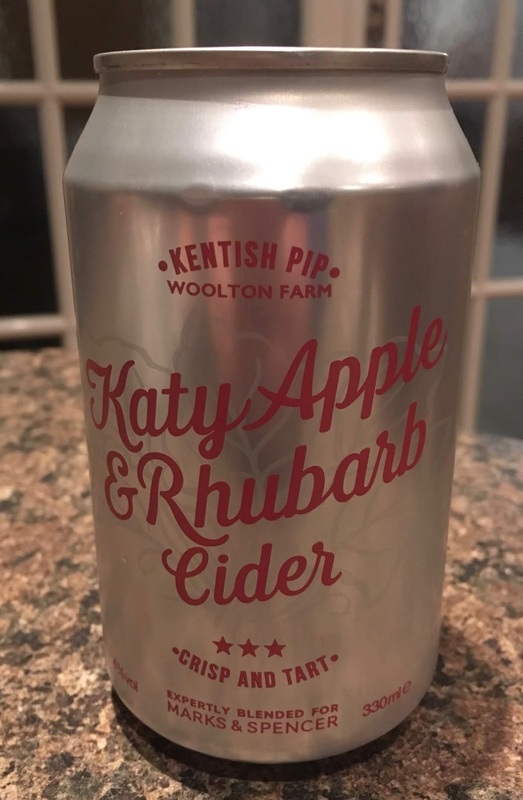 We actuially dealt with the PEach And Raspberry flavour in a previous review - but frankly it's appeal has only grown on me since then so I'll keep saying how amazing it is. As you can see here it has lots of bits in it which I love. The other two have lots to compete with. Fortunately Dark Chocolate, Lime & Sea Salt are three of my favourite things. There is a little crunch here and there but otherwise this is smooth, salty chocolate with a kick of lime and a little salt left in the teeth afterwards. A much darker mood than the light peach melba version, but equally exquisite. That leaves us with the Mango - which was always going to be the most unusual of the three. I'm not sure I've had Mango chocolate ever! The smell is amazing - of all the three this is the one that permeated the room, and turned heads. And the taste has enough of the mango to be just as satisfying. 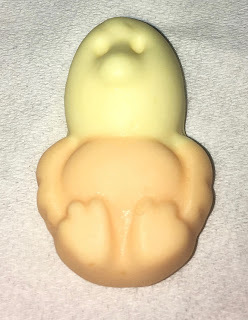 The chocolate itself is soft, and much more friendly than the version with the raspberry bits. 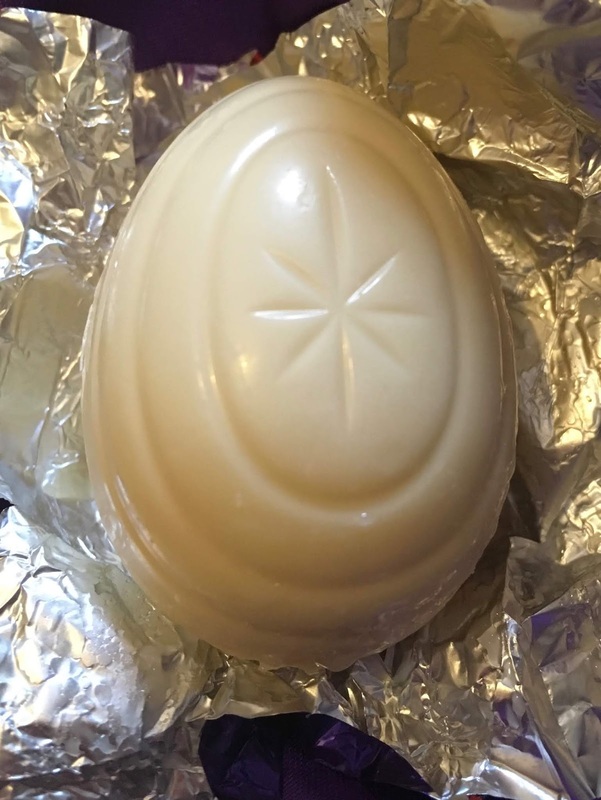 I think I'd almost say this is more traditional - and certainly has a flavour which I could see being used for eggs and other shaped Easter goods. I don't think I really have a clear favourite here. I know the raspberry one will be finished first, but I'd be more likely to buy a Melon one as a quirky present for someone. Yet again - Choc Affair have delivered high quality, but more importantly starkly different treats that only pretend to be ordinary chocolate bars in wonderfully crisp gold foil. 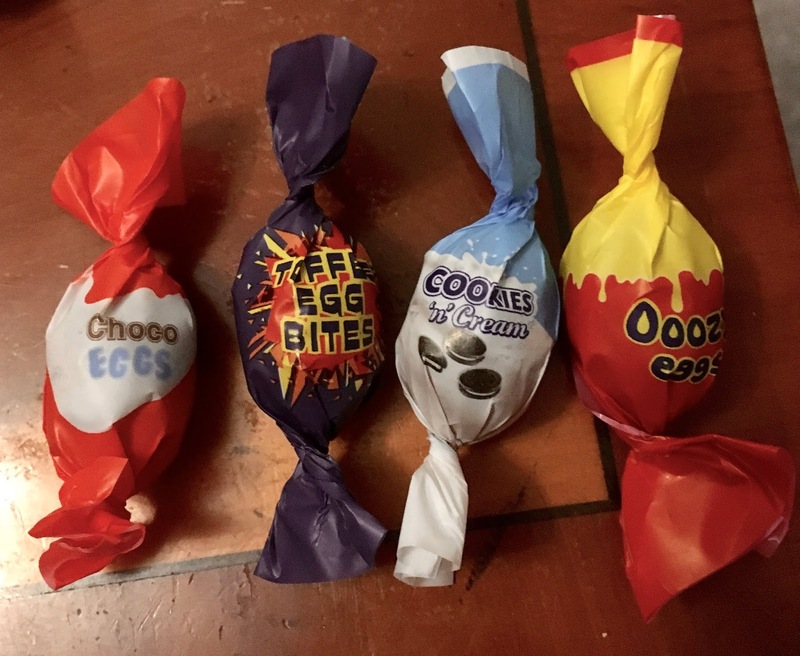 I decided to go for a different type of blog than the usual chocolate egg variety. I do usually like fruit flavoured gums and foams, so these Swizzels Drumchick Squashies orange and pineapple flavoured foam gums sound right up my street. They have been brought out as a seasonal change to their usual Drumsticks. I usually do like orange and pineapple flavoured foodstuffs and drinks, so I'm quite looking forward to these. 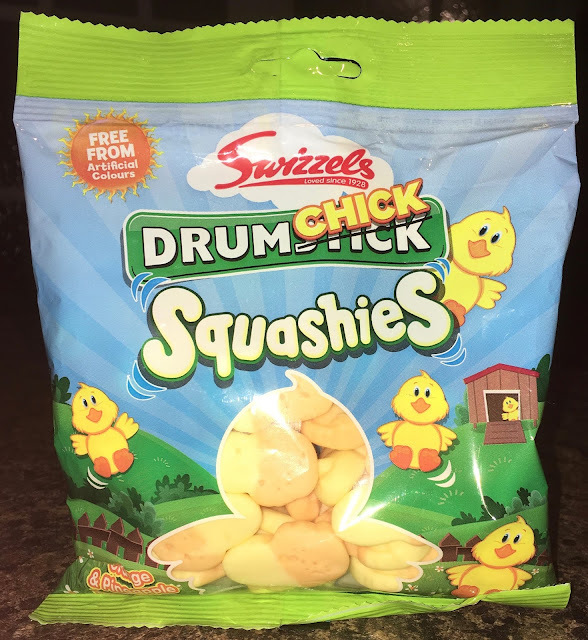 However, I noticed in the ingredients the only fruit used to make these Swizzels Drumchick Squashies was apple pulp, so there is no actual orange and pineapple to speak of. So what do they taste like…? The 160g packet contains 71 calories per 20g serving, with less than 0.1g of fat, 12.5g of sugar, and than 0.1g of salt. 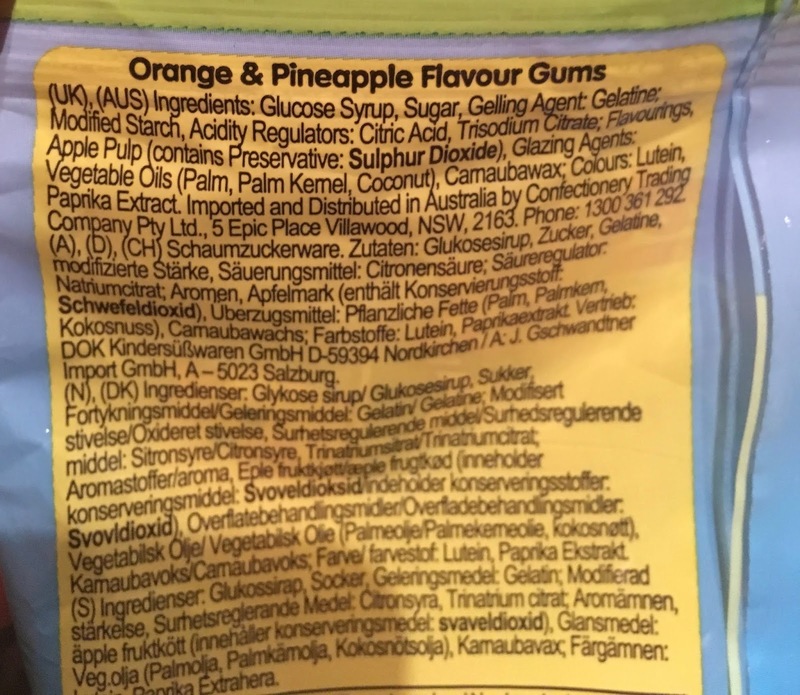 With no artificial colours, please see photograph for ingredients. These crisps are a both a new flavour and a new style of product from Pringles. They are called Pringles Rice Fusion - Malaysian Red Curry flavour crisps, and they are actually made with rice flour. The flavour is that of a curry that would also go well with rice, but these are still in the usual Pringles crisps format. In fact, dare I say it, if you didn’t know they were made with rice flour you wouldn’t have noticed a difference in texture. I have to admit to not knowing what a Malaysian Red Curry should taste like. 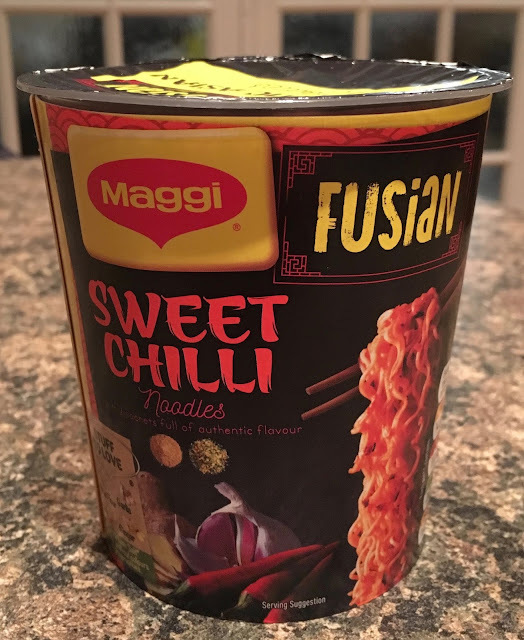 I have had Thai red curries, but not Malaysian, so it is probably best if I just describe the flavour, and try not to worry too much about what it is supposed to taste like. 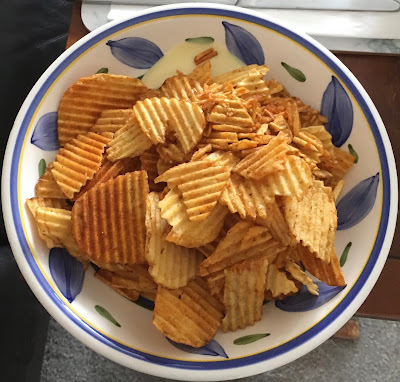 These crisps are mildly spiced, but they are very fragrant. I could taste curry powder and cardamon and I liked these spices. 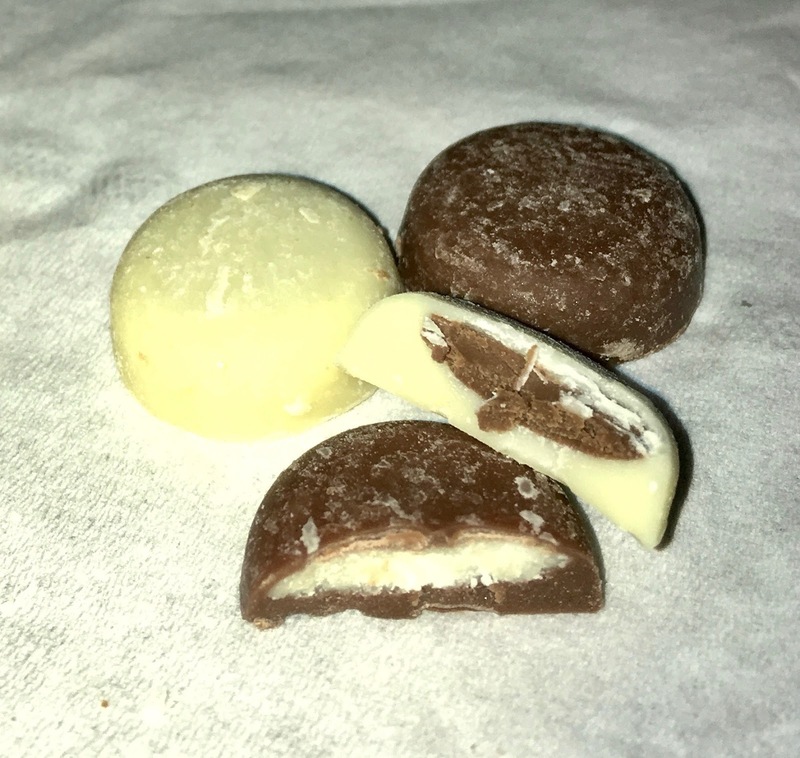 The other main flavour is a lovely creaminess that runs throughout the taste which was very much like coconut. This worked beautifully with the gentle spices, and as ever with Pringles, theses crisps were very moreish and tasty. To my taste buds they could have been made with the usual potato base and I don’t think I would have noticed, the rice works very well. 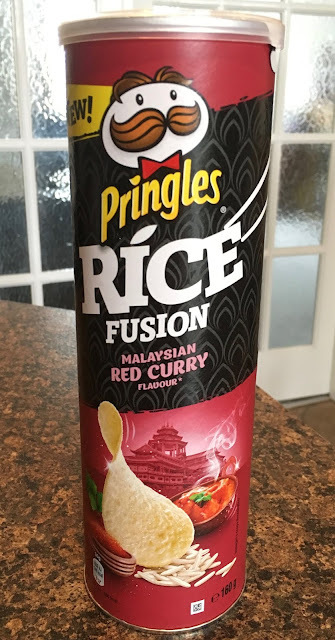 One thing is though these Pringles Rice Fusion - Malaysian Red Curry Flavour were so tasty, it makes me want to try a proper Malaysian Red Curry, so I better have a hunt for a recipe. 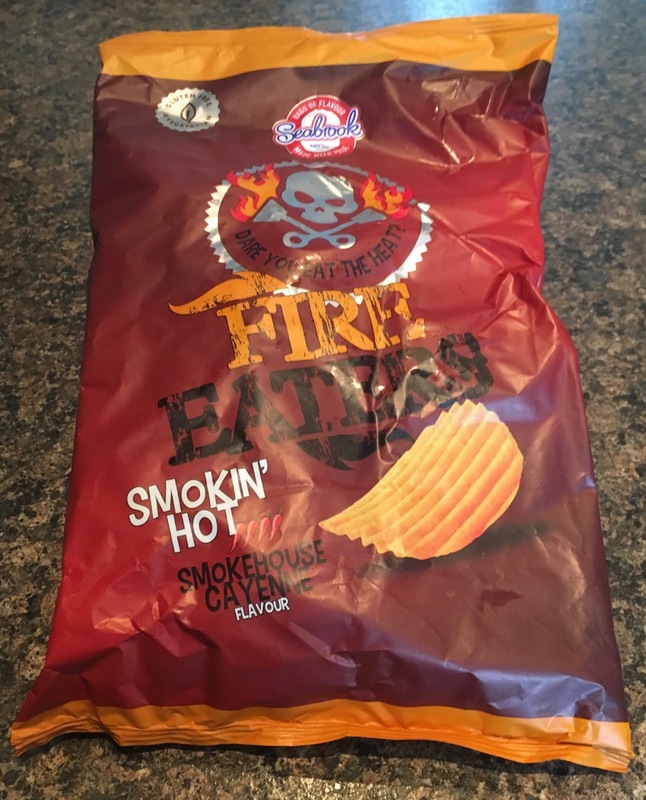 These crisps from Seabrook come with a few warnings about their heat on the front of the packet; “Dare You Eat The Heat”. The name also sounds ominous, the packet in front of me states Seabrook Fire Eaters Smokin’ Hot Smokehouse Cayenne. We decided to share these out one lunch time, and see how hot they really were. I gave the first one a try and my initial thought was that they weren’t too hot. They had a nice mild smokiness and just as I was thinking "where is the chilli", it jumped up and slapped me in the face. 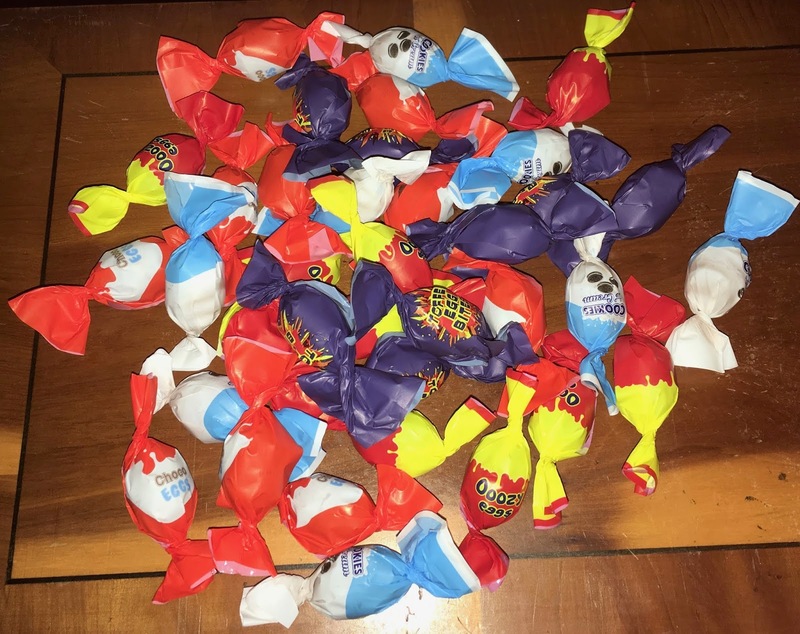 My nose started to run and my tongue was on fire. Now I’ve never claimed to be a chilli head, but I ‘m okay with a nice medium heat. Chilli flavour crisps aren’t something that would usually bother me, they aren’t usually that hot whatever the packet claims. These are though. 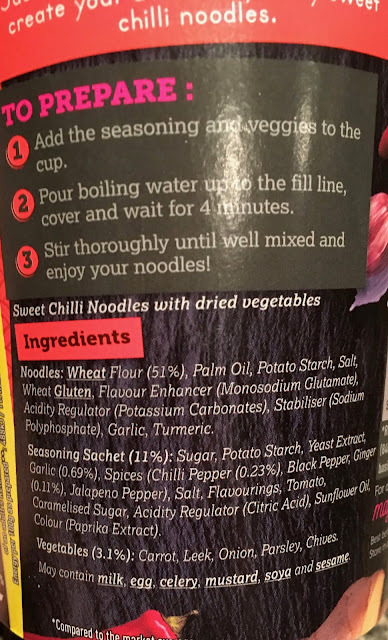 I did manage to eat my portion, and then have a long drink to try and clear the palette, they were a bit fiery for me, which kind of meant the smokey taste was a bit lost after the first couple. Interestingly these fiery hot crisps have a four chilli rating on the front of the packet, there is a flavour with a five chilli rating in our cupboard, but I think I will leave those for Spectre to write about. They sound wonderfully delicate in taste; Seabrook Fire Eaters Scorchin' Hot Trinidad Scorpion Chilli. 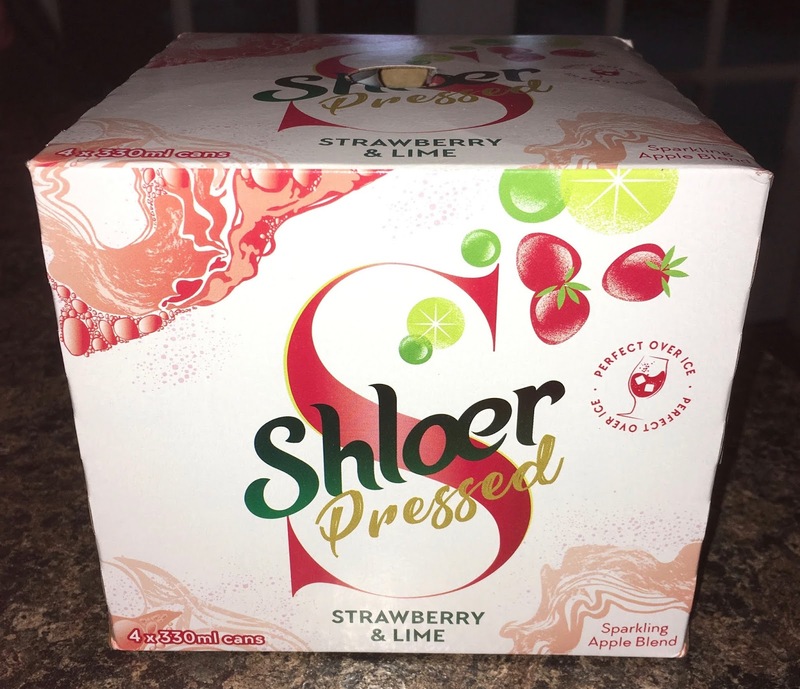 As I mentioned last week there have been a few new soft drink products from Shloer this Spring, and also this a new format. Some of their new flavours are only available in cans, and come in boxes of four. The flavour we are trying out today is Shloer Pressed: Strawberry and Lime. In the small print it states that there is also sparkling apple in the drink. 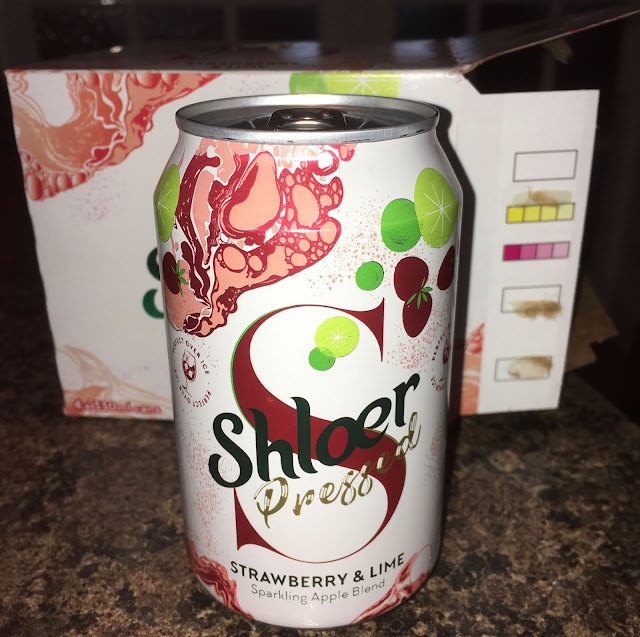 I initially thought when it said Pressed it would be a still drink, but was quite pleased to see that it was fizzy as this what I like and associate with Shloer. I poured my can into a glass and it fizzed nicely. 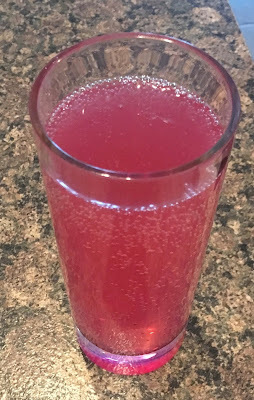 The drink was a gentle pink colour and I gave it a first taste. 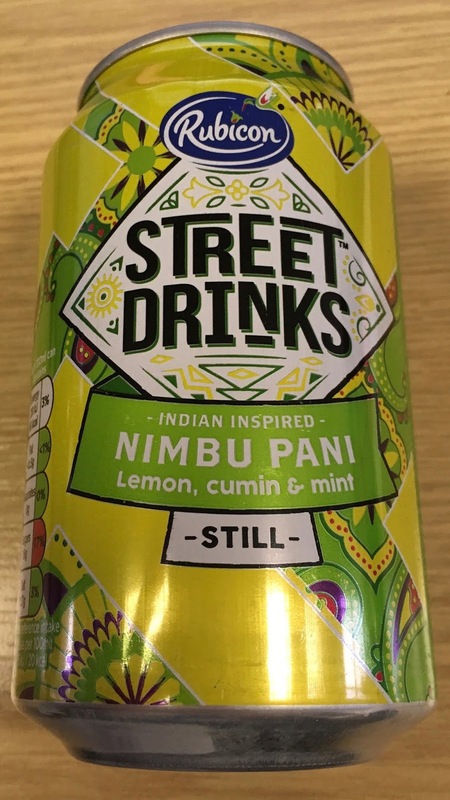 I have to admit I was a little disappointed, the drink didn’t have much flavour at all. It reminded me of one of those water’s “with a hint of”. There was just a touch of sweetness and a touch of strawberry, I was struggling to pick up the lime at all. If I’m honest I think I wouldn’t have been able to identify the flavours from taste alone, it was just mild fruity and pleasant. Now I’ve tried the Shloer Spritzed Grapefruit and Mint it would be hard to imagine buying these cans over that bottle. Having said that I do have a pack of four rhubarb cans from Shloer in this range yet to try. I’m hoping that rhubarb adds a nice zing to that taste. We were invited to a premier screening of the new Attenborough/ NetFlix documentary Our Planet and coincidentally I had a Holland & Barrett voucher to use up. I decided to get the sustainable and fashionable drink Kombucha because I’ve been hearing a lot about it and had never tried it. It’s not a great picture, but there was an hours wait between the door time and the start of the show proper so we had a lot of time to nibble our snacks and contemplate fermented goop. Here we can see the crowds outside the museum for the actual debut, and the awkward small picture all the internet footage had. They went full screen for the actual show so it was all good. And the documentary was good - not as dark and foreboding as I’d expected, and a lot of the talk was about how we can help. Going vegan was one big suggestion, I’d suggest less new ball gowns and taking public transport to premiers like we did. Kombucha itself looks odd, it’s like you forgot to feed your sea monkeys. It tastes like beer made without hops, which is I guess what it is. This only has trace amounts of alcohol, like real cola, and is pretty family friendly. This particular brand was quite strong and while I liked this my partner wasn’t so keen. It was an interesting first go and I’m sure we will be trying more of this quite soon - for instance on Thursday! There's not much information on the 355ml bottle's label of this 5.3% volume Folded Mountains Pale Ale, asides it being produced by Custom Tap Brews, in New York. I'm assuming this is a pretty old pale ale though, as Fold Mountains, such as the Himalayas, was the name used for the effects of folding layers within the upper part of the Earth's Crust (so Wikipedia tells me anyway). The theory of Plate Tectonics and Continental Drift took over from the concept of Fold Mountains in the early 20th Century. I know (yawn)… this is not very interesting, but some people often need to get to the facts to fully understand something before plunging in or at least writing about it… even if the temptation just to open the bottle and drink the American Pale Ale inside is pretty overwhelming! The fact that the brewery is situated on the Genesee River in Rochester, New York, which first had breweries situated there from 1819, goes some way to explain the age of the Folded Mountain name of this pale ale. On opening the bottle there was a fairly strong herbal hoppy smell with the sweetness from the malted barley poking up like a little-bitty hill underneath. This almost bronze pale ale pours with an enthusiastic head. On first taste the herbal hops bite into my tongue like the spikes on a mountain climber's boots. This is certainly a flavoursome beer. The bitterness from the hops, and a warming hint of spice is only smoothed out a little by the sweetness from the malts as my tastebuds descend to the lower peaks of the fairly high bitter mountain range they started on. The herbal hops and spicy undertones of this beer makes me wonder what hops they used in the brewing… But I can't seem to find much on this beer. Perhaps if you pick one up yourself sometime you can let me know your thoughts on it? It is the time of year where new ice creams are starting to launch. This seasonality is an issue for me as I drink hot chocolate and eat ice cream all year. 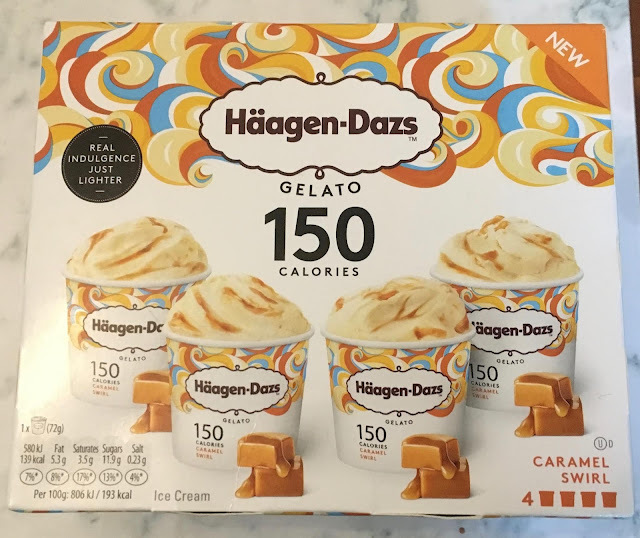 I will take the opportunity to top up my freezer with some new goodies though, and one of the new things I couldn’t resist was this Haagen-Dazs Caramel Swirl Gelato. The ice creams, well yes actually gelato, come in a four pack and each one has a plastic spoon in the lid for that added “I’m at the theatre” feel. We decided to try these as a dessert during the week, and it was only after I took them out of the box I realised I was supposed to let them warm up for 5-10 minutes before eating. The posher the ice cream the less air is whipped into them, so the firmer they are out of the freezer. Gelato is churned at a slower rate so has even less air so needs the most time. When it had softened a little I gave it the Haagen-Dazs Caramel Swirl Gelato the taste test. 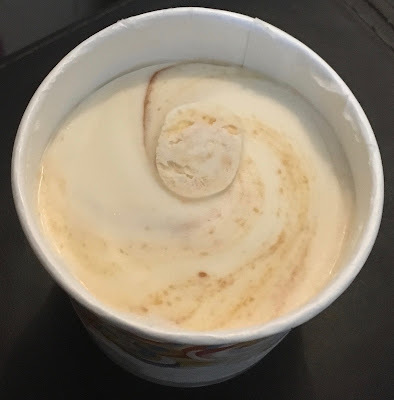 I have too say I was very impressed, the ice cream tasted very creamy and sweet, and the caramel was lovely. The swirls of sauce meant that the mouthfuls varied in terms of the caramel balance and this kept the ice cream interesting to eat. 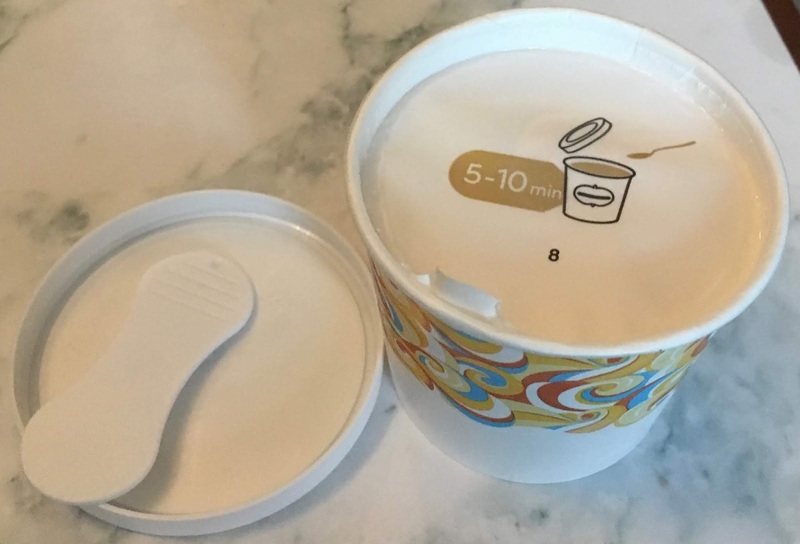 The ice cream tubs only have 150 calories, which makes it a reasonable treat even if you are watching what you are eating. I have to say I was so impressed by the Haagen-Dazs Caramel Swirl Gelato I’ve added another box to my next online order.